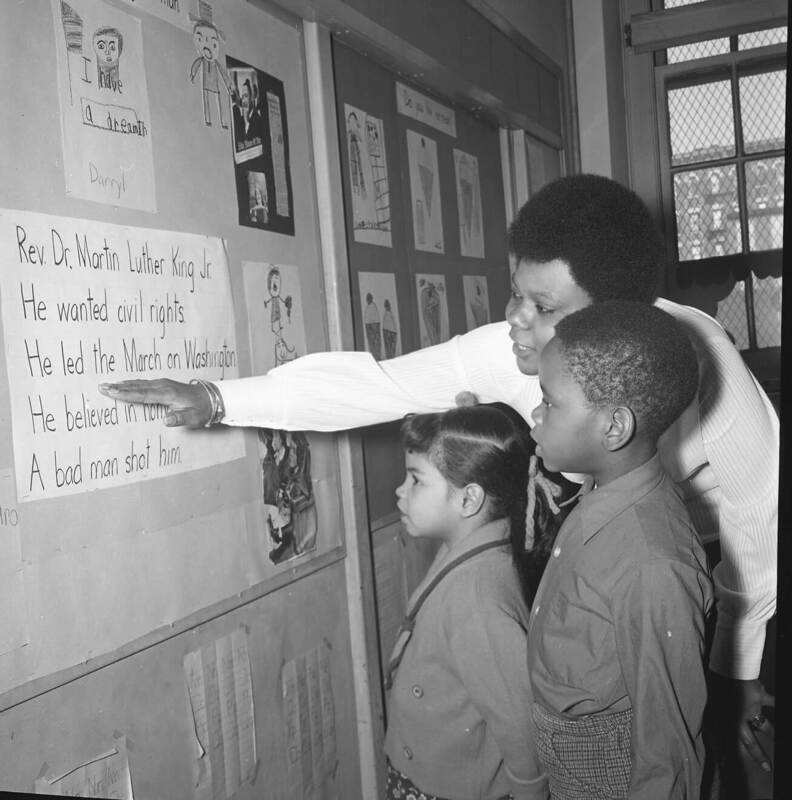 This exhibit, created by Nick Juravich, tells the story of the Parent-Teacher Teams program, which paired parents as paraprofessional educators with teachers in third-grade classrooms in Harlem and the Upper West Side from 1967 to 1970. This exhibit was open for review during a 30-day period in April 2016. This exhibit, created by Nina Wasserman, shares Harlem resident Barbara Wilson-Brooks's account of her experiences as a student in East Harlem and Upper East Side schools from 1966 to 1979. You can find the complete interview in our Oral Histories collection. Evelina López Antonetty was known by some as the Mother of the Puerto Rican Community, and by others as the Hell Lady of the Bronx. This exhibit, by Lauren Lefty, follows her journey. Before Antonetty assumed the role of well-known community organizer and leader of the United Bronx Parents (UBP), Inc., she spent her high school years at Wadleigh in Harlem. This exhibit, created by Esther Cyna, focuses on Harlem's Wadleigh Junior High School in the 1960s. It explores ideas about the future as they existed in the past. How did Wadleigh students imagine and understand their futures? How did adults work to shape education with visions of the future in mind? This exhibit was open for review during a 30-day period in February 2017. In this exhibit, Rodrigo Mayorga analyzes yearbooks of an all-girls Harlem high school, Wadleigh High School, during World War II. The exhibit explores how young women at Wadleigh were thinking about World War II. This exhibit intends to show how, through historical imagination and writing, Wadleigh students made sense of what they and the world were experiencing, inhabiting a Past that was already gone, a Present they were part of, and a Future they wanted to build.